CNG 111, Lot: 1. Closing May 29, 2019 at 10:00:20 AM ET. IBERIA, Punic Iberia. Circa 237-209 BC. AR Quarter Shekel (14mm, 1.86 g, 12h). CNG 111, Lot: 2. Closing May 29, 2019 at 10:00:40 AM ET. GAUL, Massalia. Circa 475-440 BC. AR Obol (9mm, 0.56 g, 6h). CNG 111, Lot: 3. Closing May 29, 2019 at 10:01:00 AM ET. GAUL, Massalia. Circa 440-410 BC. AR Obol (8.5mm, 0.87 g). CNG 111, Lot: 4. Closing May 29, 2019 at 10:01:20 AM ET. GAUL, Massalia. Circa 125-90 BC. AR Tetrobol (15.5mm, 2.68 g, 5h). CNG 111, Lot: 5. Closing May 29, 2019 at 10:01:40 AM ET. ETRURIA, Populonia. Circa 300-250 BC. AR 20 Asses (20.5mm, 8.27 g). CNG 111, Lot: 6. Closing May 29, 2019 at 10:02:00 AM ET. CALABRIA, Tarentum. Circa 490-480 BC. AR Nomos (19.5mm, 8.02 g, 9h). CNG 111, Lot: 7. Closing May 29, 2019 at 10:02:20 AM ET. CALABRIA, Tarentum. Circa 480-470 BC. AR Nomos (18mm, 8.09 g). CNG 111, Lot: 8. Closing May 29, 2019 at 10:02:40 AM ET. CALABRIA, Tarentum. 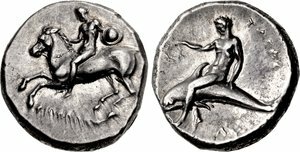 Circa 465-455 BC. AR Nomos (20mm, 7.95 g, 10h). CNG 111, Lot: 9. Closing May 29, 2019 at 10:03:00 AM ET. CALABRIA, Tarentum. Circa 280 BC. AR Nomos (20mm, 7.85 g, 1h). CNG 111, Lot: 10. Closing May 29, 2019 at 10:03:20 AM ET. CALABRIA, Tarentum. 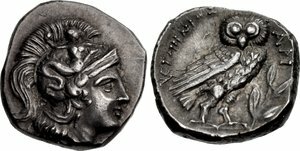 Circa 280-272 BC. 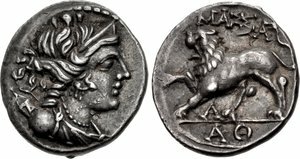 AR Drachm (14mm, 3.32 g, 3h). CNG 111, Lot: 11. Closing May 29, 2019 at 10:03:40 AM ET. CALABRIA, Tarentum. Circa 240-228 BC. AR Nomos (21mm, 6.43 g, 2h). Reduced standard. CNG 111, Lot: 12. Closing May 29, 2019 at 10:04:00 AM ET. LUCANIA, Herakleia. Circa 281-278 BC. AR Nomos (20mm, 7.86 g, 11h). CNG 111, Lot: 13. Closing May 29, 2019 at 10:04:20 AM ET. LUCANIA, Metapontion. Circa 540-510 BC. AR Nomos (29mm, 8.07 g, 12h). CNG 111, Lot: 14. Closing May 29, 2019 at 10:04:40 AM ET. LUCANIA, Metapontion. Circa 540-510 BC. AR Third Nomos (17.5mm, 2.40 g, 12h). CNG 111, Lot: 15. Closing May 29, 2019 at 10:05:00 AM ET. LUCANIA, Metapontion. Circa 540-510 BC. AR Third Nomos (18.5mm, 2.59 g, 12h). CNG 111, Lot: 16. Closing May 29, 2019 at 10:05:20 AM ET. LUCANIA, Metapontion. Circa 540-510 BC. 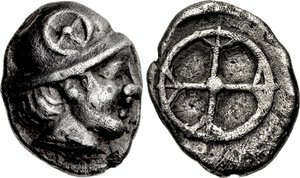 AR Sixteenth Nomos – Obol (10mm, 0.47 g, 12h). CNG 111, Lot: 17. Closing May 29, 2019 at 10:05:40 AM ET. LUCANIA, Metapontion. Circa 540-510 BC. AR Third Nomos (17.5mm, 2.53 g, 12h). CNG 111, Lot: 18. Closing May 29, 2019 at 10:06:00 AM ET. LUCANIA, Metapontion. Circa 540-510 BC. AR Third Nomos (17.5mm, 1.38 g, 12h). CNG 111, Lot: 19. Closing May 29, 2019 at 10:06:20 AM ET. LUCANIA, Metapontion. Circa 540-510 BC. AR Nomos (29mm, 7.20 g, 12h).